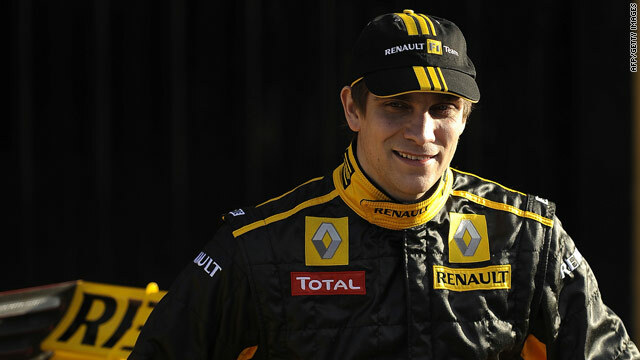 Vitaly Petrov becomes the first Russian to compete in Formula One after signing a contract with Renault. (CNN) -- Vitaly Petrov will make history by becoming the first Russian to compete in Formula One, after Renault confirmed the 25-year-old as their second driver for the 2010 season. Petrov, who finished runner-up in last season's GP2 series, was handed the drive alongside Poland's Robert Kubica after reportedly bringing a considerable amount of financial support with him. Renault made the announcement in Valencia, on the same day as they unveiled their car for the 2010 season -- the R30. And, following the exit of ING as their title sponsor towards the end of last season, the new livery on the Renault will now be yellow and black after the team was bought-out by Luxembourg-based private investment firm Genii Capital. It has been all change at Renault over the last couple of months, with Genii's investment preserving their name -- as bosses of the French manufacturer had considered withdrawing from F1. Renault also recently appointed a new team principal in the shape of Eric Boullier, and the team will be hoping for a better year following the 'crashgate' scandal that damaged their reputation.